It’s that time of year, when customers are chomping at the bit, ready to make their online holiday purchases. They are bombarded with ads, emails and other promotions to entice them to buy. How are you going to stand out from the crowd? Do you have a holiday plan in place? Don’t let a poorly executed marketing strategy cause you to lose valuable sales (and sleep) to your competitors. Email marketing should play an essential role in nearly every holiday advertising plan. It’s important to engage your customers early and consistently. And now with the incredible rise of mobile technology, email is more critical than ever for increasing sales and nurturing customer relationships. A strategic plan that includes mobile-friendly designs, A/B testing and data-driven campaigns are key to your holiday success! Tip #1 – Mobile is here! Make sure your campaigns are mobile-friendly to engage all your customers on all devices. Tip #2 – Test, test, test! Make sure to A/B test your campaigns to determine the ideal send time, template style and sale offer for your subscriber list. 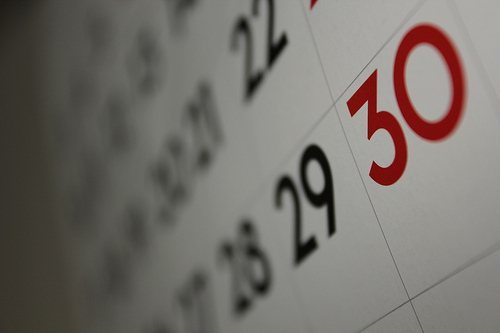 Tip #3 – Make sure you have a strategic calendar with essential campaign send holidays in place. We can help! Check out our holiday infographic below: Key 2015 Ecommerce Dates for Email & Social Boosts. Our full-service email management solution can help simplify the chaos of email marketing this holiday season (and beyond), and provide your company with the results it needs. We are an extension of your team and committed to the growth and success of your company! For a downloadable version of the full-size calendar, right-click here and Save As.